Yet I often encounter Catholics who are deluded by this idea, who instead of understanding her great simplicity, think that Thérèse is merely a simpleton. Then there is another class who believe St. Thérèse represents the happy-go lucky, care free attitude to spirituality of the Novus Ordo. This is entirely incorrect either. St. Thérèse possessed a depth of character and understanding of humanity that was a result of a high degree of virtue, and a deep closeness with Jesus Christ. It was not endemic of being free of the need to expiate sin or cast flowers about. This angelic child is seventeen and a half, and she has the judgment of one of thirty, the religious perfection of an old perfected novice, and possession of herself; she is a perfect religious. Yesterday, not an eye remained dry at the sight of her great and entire immolation. This is high praise from an old mother superior, especially given that she did not get along well with other members of Thérèse’s family. We should also consider the evaluation. She has the judgment of a woman twice her age, such things include prioritizing, placing Jesus first, figuring out how to discern when the best time to say some things are, and when the best time not to say it at all might be. How to order prayer, these are things that come through time in being tested as a religious, yet St. Thérèse had them at her first profession.This is because Thérèse had ample training for sanctity in the home. Her parents both sought religious life themselves. Her parents lived and created a liturgical home. They disliked musical experimentation which was prevalent in France, and were enthusiastic, by contrast, for the reforms and rediscovery of chant coming from Solesmes. Thérèse’s father read Dom Gueranger’s liturgical year nearly every day, and the family lived the liturgical life of the Church. 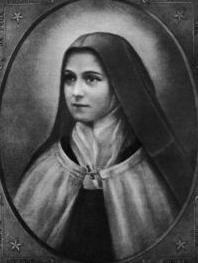 Most importantly, Thérèse had resolved since the age of 8 to become a Carmelite, as her elder sister Pauline had done, and it did not remain simply a childhood desire to be with her sister, it transformed into a true desire to be united most perfectly with Jesus Christ, and as such prepared for that since she was little. She did not sit idly by waiting for sainthood to happen, she embraced sainthood now, for there is only now. No one knows the hour, and Thérèse wasn’t playing around. This is why our Blessed Lord moved mountains for her to enter at age 15, in 1888. 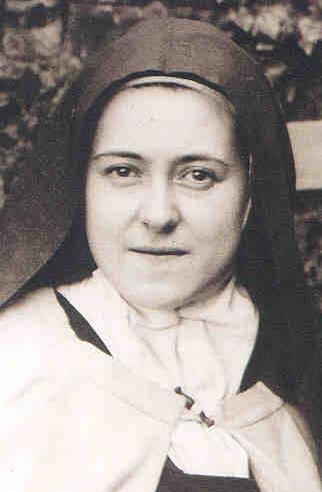 Some people wrongly think that the superiors of the Carmel were mean and unfeeling for not granting Thérèse’s request. The truth is they were doing the right thing according to human means, and Pope Leo XIII did the right thing in telling her to do whatever her superiors told her. God merely chose better. Thérèse’s uncle, Isidore Guerin, told her on one occasion that it would be a scandal for all of France to have a child enter a convent. The superior of the Carmel, Canon Deletroette, was of like mind, and by human standards they were correct to wish to refuse Thérèse entrance at 15. Consider the sordid history of th e French Revolution, and the aftermath of the age of Napoleon, particularly the atheism of the 3rd Republic. 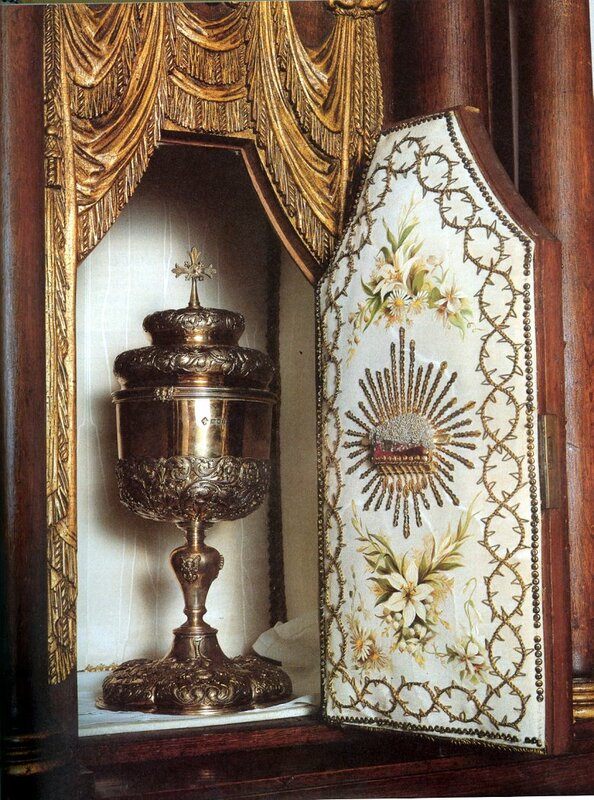 Catholics in St. Thérèse’s time were afraid another commune would be set up for the extermination of Catholics as during the revolution, and in several letters from Thérèse towards her death, there was a feeling that at any moment the police might come and burn down the Carmel. National newspapers fought out the battle between the true faith and atheism, and the prospect of a child entering a convent would be all the provocation the government needed to make new restrictions on religion. Thérèse trusted in God and in the structures of the Church, but she also felt in the depths of her heart a call to enter the Carmel as soon as possible, which is why she was willing to go to the Bishop, and the Pope. 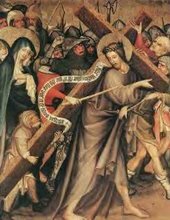 As Von Balthasar (not a source I normally turn to), said: she took Carmel on the sword’s point, the sword of humility and surrender. (that’s paraphrased, the gigantic book that he wrote on Thérèse and Elizabeth of the Trinity is locked up in storage). She was a woman aged in a spiritual battle. There is yet another reason why Thérèse was so mature at age 17, the Christmas grace of 1886. Since the time that her eldest sister entered the convent, Thérèse was struck by scruples and tantrums, and threw fits. She knew that in such a state she was not fit to be a nun, and prayed earnestly to be healed from these childish tendencies. As such in 1886, at Christmas, after midnight Mass, she caused her father to get annoyed because he was tired, which ordinarily would have sent her into a tantrum. As tears welled up, they rolled back up, and she was healed. From that day onward she was more mature, more spiritually prudent and discerning, and her passions and appetites were ordered. Her life would now be an immolation to Jesus Christ. When she found out that her entrance into Carmel would be granted at age 15, but not until after Easter of 1888, she did not sit back in her father’s recliner and decide she ought to live it up, relax, and get in all she could before such things had to be given up. Rather she gave them up already. She began using her time of preparation as best she could, offering up sacrifices, and among these was the well known incident of the multiple murderer Pranzini, who had refused confession and was un-repentant. Through Thérèse’s prayers he was converted at the moment of death. I know what I would have done, as a testimony to my spiritual immaturity. Large meals, a few more hours of Medieval Total War, drank my favorite liquors, etc. I might have bought that 20 year old scotch that I have been saving for for months. If anything that is a testimony to how unsuitable I am for the religious life, and that even if I had gone to a Traditional seminary rather than the Novus Ordo one I went to, I still would have discovered that I don’t have a vocation. The greatest thing about Thérèse was that she was not childish, she was child-like. She made her self amenable to all of the other sisters, and counted herself last always, while rejoicing in doing small things for her Jesus. 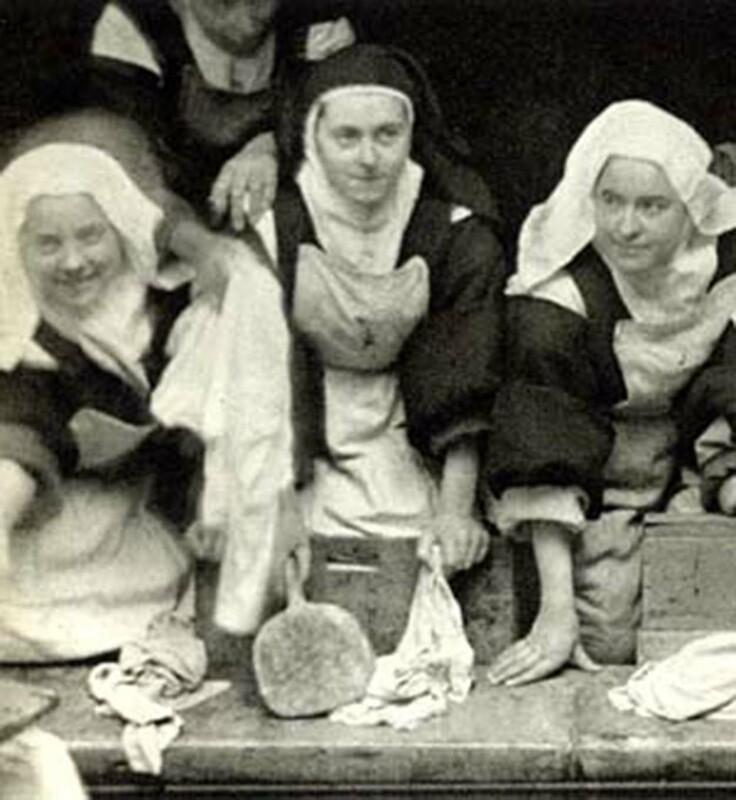 In one instance, there was a dispute in the Carmel because Thérèse was not the only one there from her family, but there was also her older sister Pauline (Sr. Agnes of Jesus) and Marie (Sr. Marie of the Sacred Heart). Pauline had been the prioress, and factions divided in the convent between those who supported Pauline as prioress and those who supported Mother Marie de Gonzague, and they were upset because they felt Thérèse would unbalance the convent, others that the Martin family was taking over. So Thérèse very humbly and without ceremony told Mother Marie de Gonzague that she would remain in the Novitiate, even though she had taken her vows, she would give up all rights that professed sisters enjoy, including holding canonical offices within the order and voting for the prioress. Another of the most important features of Thérèse was detachment. She was asked by Sr. Agnes, her older sister Pauline, to write of her childhood, since she saw what a powerful memory Thérèse had. This Thérèse willingly did and gave to Sr. Agnes, who skimmed it and put it away in a desk drawer for a year. 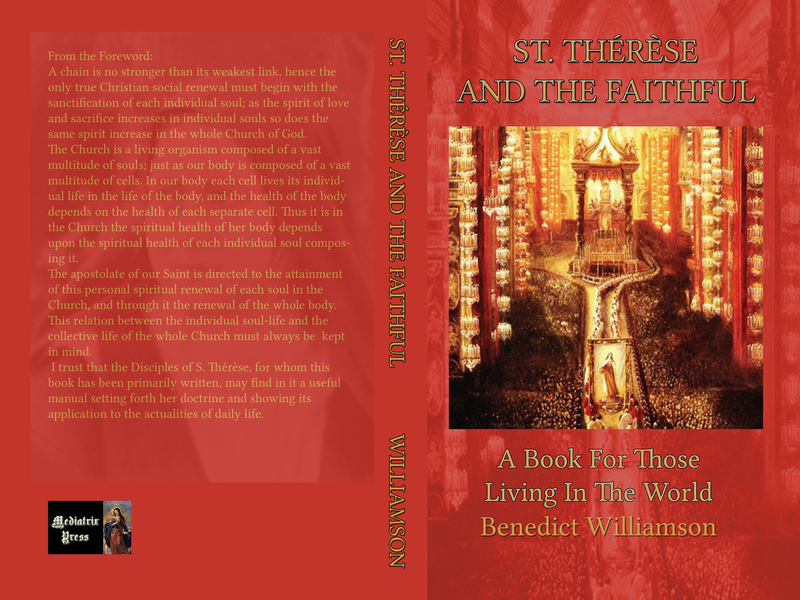 Thérèse never asked about it, never wanted to know Sr. Agnes thought, and never asked to write more. She had a devil of a time writing it to begin with and would have been happy to never write more. Yet (luckily for us) she was asked to write more by the next prioress, Mother Marie de Gonzague once she was re-elected. What I find amusing is that Thérèse’s sister shoveled away a spiritual classic in a desk drawer for a year. It was at this period however, that Thérèse was asked to become the Novice Mistress, a position she could not legally hold, something the other novices knew she could not legally old, and in a convent ripped with tensions over her family’s presence. However Thérèse carried out this task regardless, and severely! This is something that people don’t realize about her. When it came to loving Jesus and being a saint, she entered into spiritual combat, and those who did not were weak pickings for the devil. It even made her angry at times when other novices did not understand loving Jesus. There was one sister, who was prone to gossip and pride. Once on the feast of the Immaculate conception, the sisters received some chocolate cake to celebrate, and this nun was passed over, and she gloated to a friend “they missed me, watch how well I offer it up”. 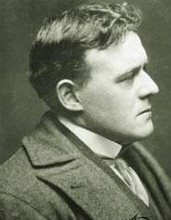 Thérèse, unbeknownst to the sister, had very keen hearing, and she stood up and raised her voice to the sister, telling her “You will go back to the kitchen and get the cake you offered up so horribly.” To walk on the little way required one to jettison pride, false humility, self-gratification and desires for grandeur, and for Thérèse a harsh word might be necessary to set one upon this path correctly. I might say more about this except the book with all the quotes was foolishly left in storage. It is a book called “My sister, St. Thérèse”, by Celine her next oldest sister, and it is a translation of her french biography of Thérèse “Counseils et Souvenirs”. The most important, in a way the crowning aspect of St. Thérèse life, what makes her, as Pius XI said the greatest modern saint, was the trial of faith. She lived in an age of public atheism, when science boasted of its magnificence, and its self-sufficiency. The temptation set in to trust in princes, rather than in almighty God. At some point in her life in the world, St. Thérèse was exposed to this, and around the age of 22, she embarked on a trail of faith, when these memories began to overshadow her love of Jesus, her spouse, and began to eat away at her faith. I once heard a sermon by a Carmelite priest, who said that while St. Thérèse was in Rome with her sister Celine, she was in the same elevator with Nietzsche the great atheist philosopher. He offered as justification for this that Nietzsche complains in one of his letters of two young French ladies playing in an elevator as though they had never seen one before, dated in the same time Thérèse was in Rome. I don’t know if that is true, but it is certainly interesting, that the greatest saint of modern times would share the same space with the greatest atheist of modern times. At that time I was enjoying such a living faith, such a clear faith that the thought of heaven made up all my happiness, and I was unable to believe there were really impious people who had no faith. I believed they were actually speaking against their own inner convictions when they denied the existence of heaven, that beautiful heaven where God Himself wanted to be their Eternal Reward. During those very joyful days f the Easter season, Jesus made me fell that there were really souls who have no faith, and who, through the abuse of grace, lost this precious treasure, the source of the only real and pure joys. He permitted my soul to be invaded by the thickest darkness, and that the thought of heaven, up until then so sweet to me, be no longer anything but the cause of struggle and torment. This trial was to last not a few days or a few weeks, it was not to be extinguished until the hour set by God Himself and this hour has not yet come. It becomes necessary for me at this point, to recall my own trial of faith. In my last year of college I suffered from a bout with atheism. Impressed by my budding philosophical abilities, I read Nietzsche’s Genealogy of morals, thinking that I would refute him roundly. In reality he converted me! I spent most of my last year and a half at college as an atheist, going to Mass with my fingers crossed. I often even lied about religious faith in order to not stand out, given that I was in a place like Steubenville. I honestly couldn’t believe. I tried, and did so with great effort. St. Thérèse said that this state could not be described, one must pass through the darkness to know. I know, but not because I conquered it, rather because I was destroyed by it and rescued by God. St. Thérèse conquered this dark trial. Even while suffering the torment of Tuberculosis, she did not waver, even when her mind told her there was no heaven and no God, she refused to believe. That is heroic faith, against the complete inner darkness, unlike someone like me who is a quisling by comparison. I certainly didn’t have that faith, and most of us don’t. These are among the many reasons why Thérèse is the greatest saint of modern times. Ours is the age of atheism, of materialism, (its also the age of stupidity but that can be covered later). An age where states publicly profess in no belief, and militant atheists can assault the true faith with impunity in both books and media (Christopher Hitchens). Thérèse is the saint praying for missionaries, in an age when the left wants the end of the missions, and seeks an acknowledgment that all religions are basically good, a proposition which would have horrified her because of the loss of souls for her beloved Jesus.The gradual for the Traditional Liturgy for her feast, is most pertinent to Thérèse. 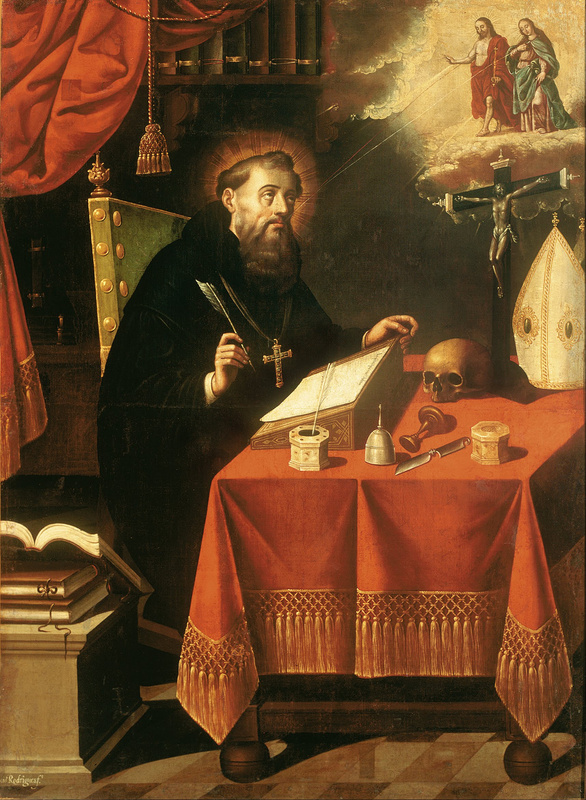 Confiteor tibi, Pater, Domine caeli et terrae, quia abscondisti haec a sapientibus et prudentibus, et revelasti ea parvulis. Domine, spes mea a juventute mea. I confess to you, O Father, O Lord of heaven and earth, because you have hidden this from the wise and prudent, and revealed it to the little ones. O Lord, [you have been] my hope from my youth. It was a little one, who would be such a great saint, by being little. It is one of the many paradoxes of which Catholicism is made. And by being a little one, we are made great. Being childlike means a complete and total trust and surrender to things beyond our control. As adults we do not want to admit that anything is out of our control. We can and ought to do everything and be in charge of everything. That is the essence of modernism, a rebellion from God, and it manifests itself in every element of today’s crisis, from the liturgy down to the parish council. The refusal to abandon oneself to God. Instead we have abandoned the little ones to the devil. Thérèse is always depicted with flowers, and I don’t think she would mind this in itself, since she loved flowers and saw in them many manifestations of God’s love. What she would object to in my opinion is her being depicted with flowers that don’t have any thorns. Without them, she would consider the flower the imperfect image, because life has both the glory of the budding flower, and the thorns of its stem. We need today all the virtues of St. Thérèse, not only the humility, the littleness, but also the strength, the maturity, the high degree of virtue and especially, the surrender to the merciful love of Jesus Christ. This is a bit late since I just discovered your blog today. I agree with all your observations about St Therese. I see her as being so incredibly childlike which came from grace. you see simplicity, so we’re on the same page. She had the trust of a small child raised to sublime heights by God’s love for her. Of course this is true of all saints such as St Therese who spend her religious life hidden behind four walls praying, doing laundry and other chores. That same child like trust was true of St Francis Xavier, for example, a hero and doer of great deeds. Both were great heroes. I think Fr Andre Comes, back in the 50’s, wrote the most comprehensive biography of Therese’s profound interior life. So those shallow catholics you mentioned only see what they want to see or what they’re ready for. And I haven’t mentioned the last 15 months of her life where her spiritual mettle was tested to the limits of human endurance.